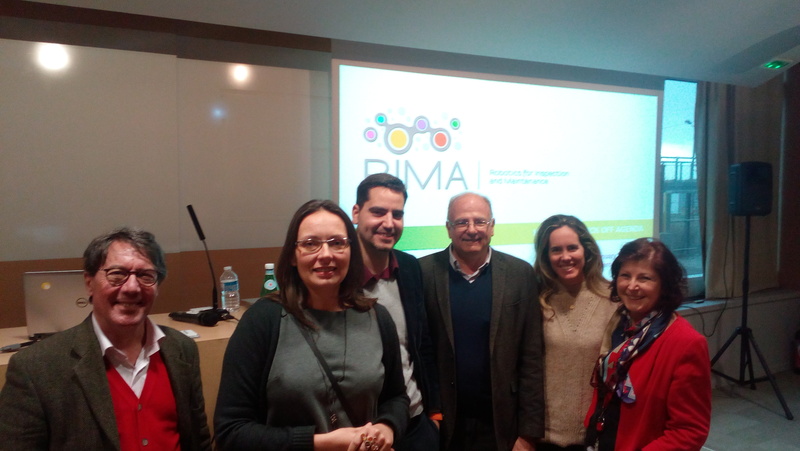 GRVC joint with CATEC have attended the Kick off Meeting of the European project Robotics for infrastructures Inspection & MAintenance (RIMA) in Paris, with a presentation of the national and international projects where GRVC is collaborating or participating. RIMA is a 4-year project aiming to achieve this by establishing a network of 13 Digital Innovation Hubs (DIH) on robotics and a large number of industry associations sharing best practices and providing services to facilitate step change in uptake of I&M technologies. In the spanish case, it was created a DIH called Robotics DIH to show the funding opportunities for the spanish SMEs and so as to the aerial robotics projects which they can collaborate. GRVC is one of the partners of Robotics DIH in conjuction with CATEC, Dronetools and Navantia.